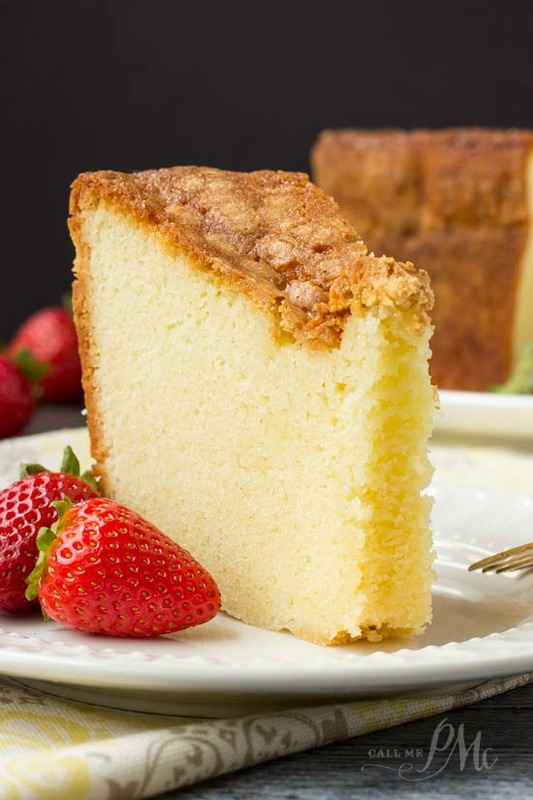 Mile High Pound Cake is dense, moist and over-the-top good! Welcome back to my Pound Cake series. This time, I made and tested the Mile High Pound Cake. It’s been one of my favorites for years. It lives up to its name. This Mile High Pound Cake is the largest, tallest, heaviest pound cake I’ve made so far. (See all my pound cakes here.) In fact, I extended my tube pan with this trick to ensure the cake didn’t overflow! 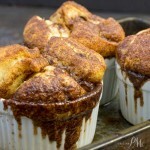 I use a tube pan for this recipe and I still add waxed paper in case it is taller than my pan. I simply cut strips of paper about 3 to 4 inches tall, spray one side of the waxed paper and press to stick it to the inside of the tube pan leaving 2 to 3 inches standing above the pan. Of course, you could purchase a larger pan, but this is the only recipe that I have a problem with rising too high and over-flowing. Mile High Pound cake is ridiculously good! The batter is like silk. It’s fluffy, yet rich. It’s smooth and light but has a decadent flair. Unlike the other pound cakes, I’ve made this cake has baking powder. 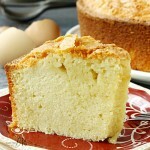 Most pound cakes are leavened strictly with eggs. 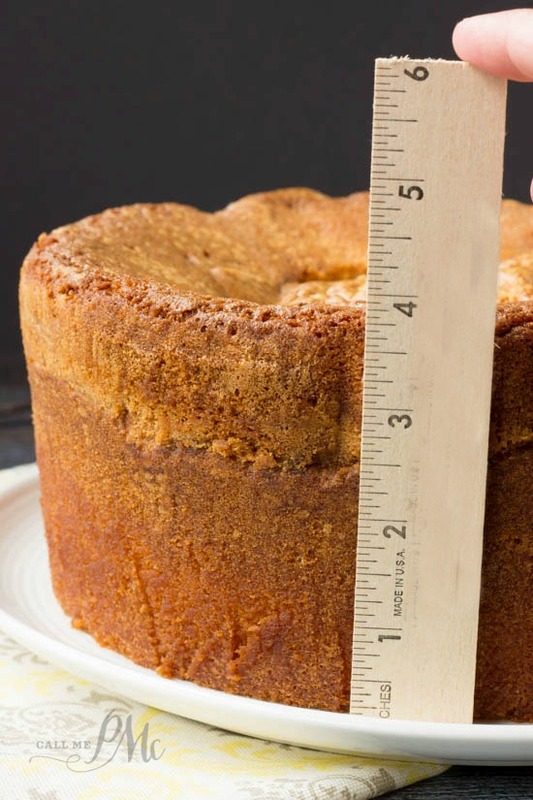 Speaking of eggs, this Mile High Pound Cake has 10 eggs! The eggs contribute to that silky texture. 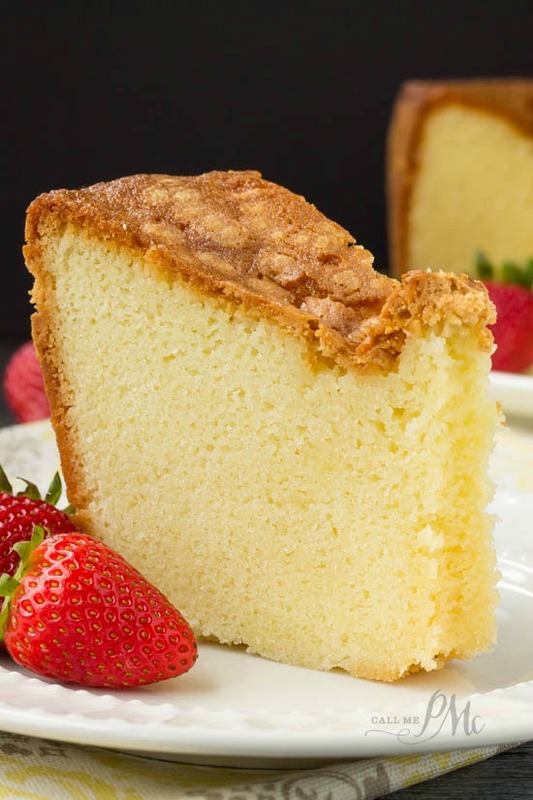 Get all of my pound cake recipes here. 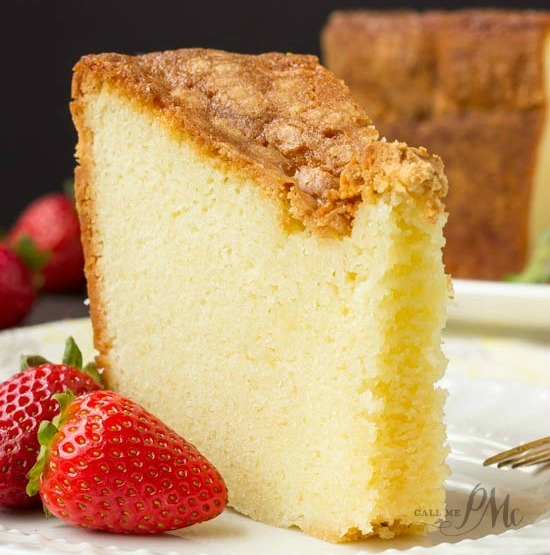 Mile High Pound Cake is most like the traditional pound cake than most other pound cakes that I’ve tested. I say this because traditional pound cakes used a pound of butter, a pound of sugar, a dozen eggs. It was developed before recipes were written and recorded and persevered time most likely because the ingredient ratios were easy to remember. 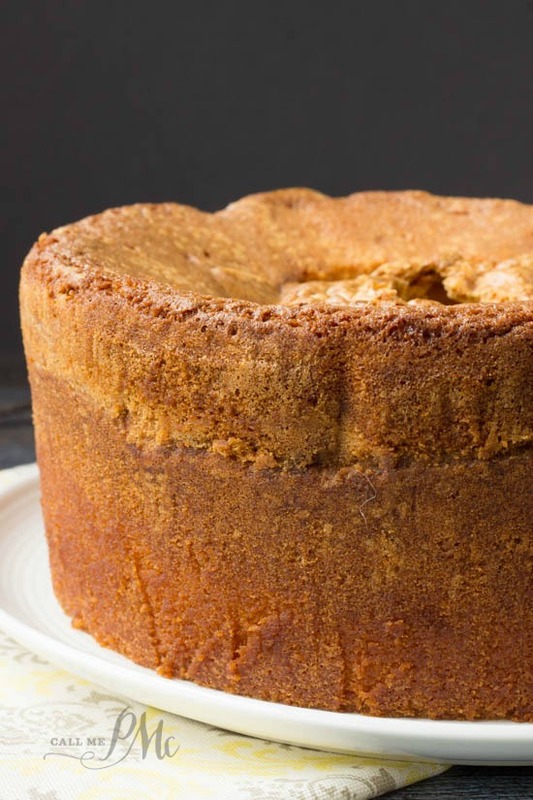 Mile High Pound Cake has 2 cups of butter, 10 eggs, 4 cups of flour and 4 cups of sugar. Now you know why I was concerned with it overflowing! 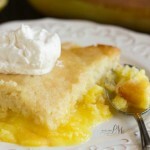 I have used a ton of sugar, butter, flour, and eggs since beginning my Pound Cake series! Seriously, though, I have used 18 cups of flour, about six pounds of butter, 3 dozen eggs and 2 pounds of sugar! 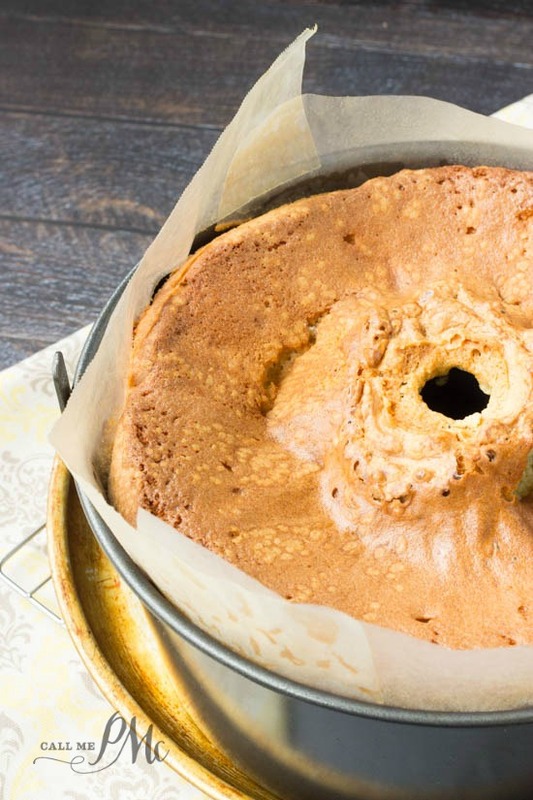 Here are my very best tips to make the most perfect pound cake! The secret is mix, mix, mix! Beat the butter until it’s smooth and creamy. It will fluff slightly and become lighter in color. Beat in the sugar. Again, beat on medium speed until the butter and sugar are smooth. Add one egg at a time, making sure each is incorporated before adding the next egg. On medium speed, this will take just a few turns of the beaters. Sift and measure the dry ingredients (flour and baking powder) into another bowl. With the mixer on low, spoon the flour & baking powder into the bowl with the other ingredients. Mix until the ingredients are combined but do not over mix! 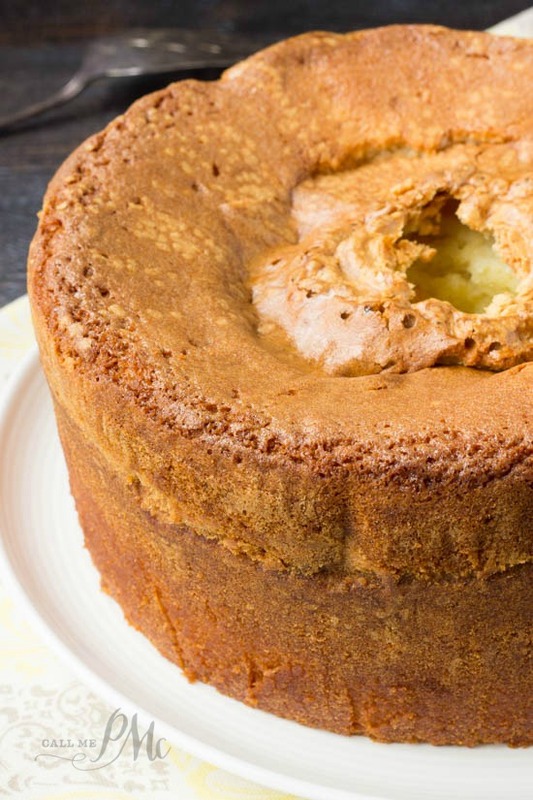 An over-mixed batter results in a tough cake. I do not recommend using a bundt pan for this recipe. See above, even a 12-cup tube pan needs an extra level of security so as not to overflow! Cool the cake in the pan on a wire rack for 20 minutes then invert on a serving tray to cool completely. Serve with freshly whipped cream, ice cream, fresh berries, Caramel Sauce, Raspberry Sauce, strawberry sauce, or Orange Curd. Or, the beauty of a pound cake is it is delicious plain without any embellishments or accompaniments. Enjoy!! One of my popular pound cake recipes is this Old Fashioned Blue Ribbon Pound Cake featured below in the video. Preheat oven to 325°. Grease and lightly flour bottom of tube pan. Sift together flour, baking powder, and salt. Cream butter. Gradually add sugar, beating all the time. Beat in eggs, 1 at a time. Add dry ingredients. Beat. Add lemon juice. Pour batter into prepared pan. Bake for 1 hour and 25 minutes, or until done. Cool on a wire rack. 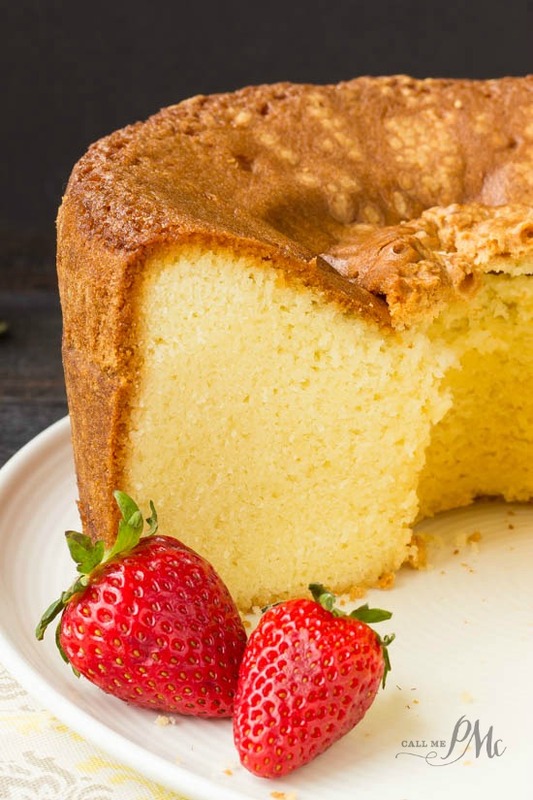 I have tested A LOT of pound cake recipes for you. See them all below. It sounds like that may be the problem. Hi Paula, haven’t tired the recipe yet. Waiting until our Pastor Anniversary comes 2nd Sunday in April. 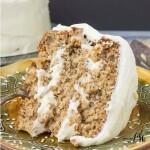 I would like to know if you have an old 3 layer coconut cake recipe made from scratch. I’m looking for one, but as soon as I make this cake, I will post it, and let you know how it turns out.